You can trust a book to keep your secret . . . Loveday Cardew prefers books to people. If you look closely, you might glimpse the first lines of the novels she loves most tattooed on her skin. But there are things she'll never show you. Fifteen years ago Loveday lost all she knew and loved in one unspeakable night. Now, she finds refuge in the unique little York bookshop where she works. Everything is about to change for Loveday. Someone knows about her past. Someone is trying to send her a message. And she can't hide any longer. 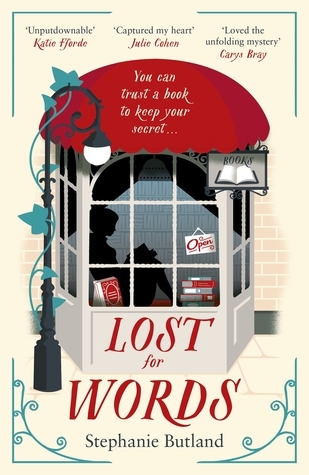 Lost for Words is a compelling, irresistible and heart-rending novel, with the emotional intensity of The Shock of the Fall and all the charm of The Little Paris Bookshop and 84 Charing Cross Road. The sole reason I would have requested this book is because its a bookshop book. I haven't read one in a long time so I totally needed to get another one in the bag. Lost for Words follows Loveday Cardew who spends her days hiding in a quaint little bookshop in York with her larger than life boss Archie. 15 years ago, Loveday lost everything she knew and now she just takes it day to day. Lost for words follows the journey of Loveday in the modern day and 15 years ago to what happened to create the Loveday we know now. I liked the way it was written with the interjection of poetry. I found the only way for me to describe this was a story. It wasn't high impact, fast-paced nor full of that much drama (there were a few bits of tension though!!) It was a good read. I feel like it just told a narrative, we spent time learning the characters - getting to know them and discovering what had happened to them in the past, and discovering not everything is as it seems. I liked the character of Loveday as she was feisty, prickly and likable. She had her guard up and for good reason, but people are drawn to her - and want to be let in. Lost for words was a lovely read for the true book lovers out there, those who love books about books. I read this in a matter of hours so that's a sure fire sign I was drawn to this book. Although she’d never have chosen it, her dance with cancer has changed her life in many positive ways. Now she is happier, healthier, and more careful with her precious life and the precious people and things in it. Her writing career began with her dance with cancer, and now she is a novelist. 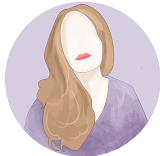 Aside from writing, she works as a speaker and trainer, and she works with charities to help raise awareness and money in the hope that cancer will soon be about as scary as a wart.